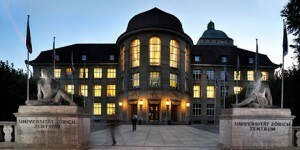 The German Department of the University of Zurich invites applications for an Assistant Professorship in Spatial Linguistics with a focus on Scandinavian Studies. The position is temporary for a three-year period, after which it may be renewed for another three years. It should be filled as soon as possible. The assistant professorship will participate in the cross-disciplinary teaching and research activities of the University Research Priority Program (URPP) «Language and Space» as well as of the Section of Nordic Philology within the German Department. Candidates should hold a PhD degree in Scandinavian Studies or Linguistics, including an excellent track record of research into a Scandinavian language. In particular, we seek to employ a candidate with expertise in an area at the core of the language-space-interface, such as the geographic distribution of natural languages and their varieties, the situational anchoring of speech in interactional spaces, linguistic expressions of spatial-cognitive representations etc. The successful candidate will be involved in the teaching curriculum of the Section of Nordic Philology at BA and MA level, and in the URPP initiatives which support young professionals at PhD and postdoc level. The main languages of instruction are German and English. In order to increase the number of women in leading academic positions, we specifically encourage female researchers to apply. The closing date for applications (including a letter of motivation, CV, list of publications and teaching records as well as a detailed outline of the candidate’s research plan) is June 12, 2015. Applicants are kindly asked to also submit the dissertation plus three representative publications. Applications should be mailed as a single PDF file to University of Zurich, Faculty of Arts and Social Sciences, Dean’s Office, Rämistrasse 69, CH-8001 Zurich, bewerbungen@phil.uzh.ch. For further information, please contact Prof. Dr. Heiko Hausendorf (heiko.hausendorf@ds.uzh.ch).